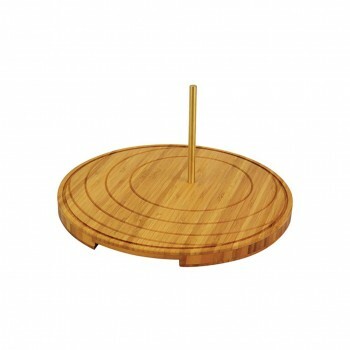 Description : The Melamine Ranch Snack Server capitalizes the variability of sizes for a beautiful presentation. 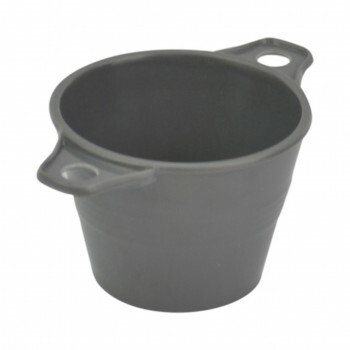 This proves great while customizing the presentation as per the requirement. 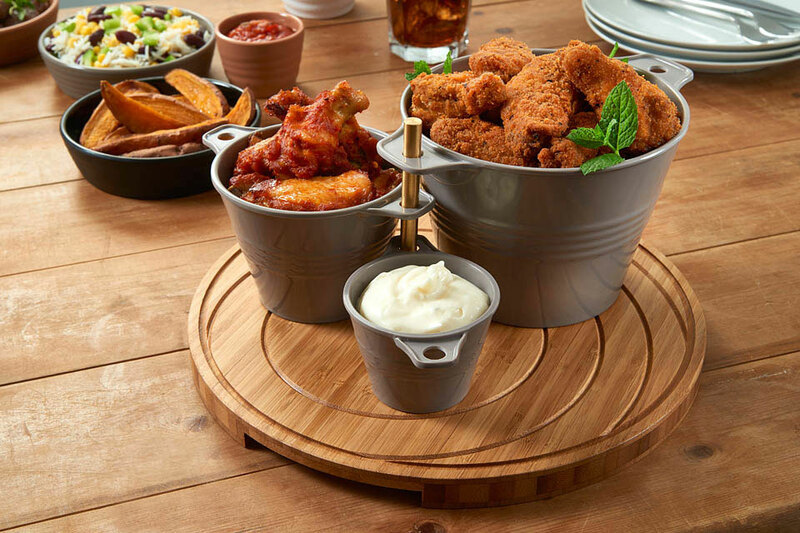 Small pots for sauces or ketchup, big pots for fries and nuggets. 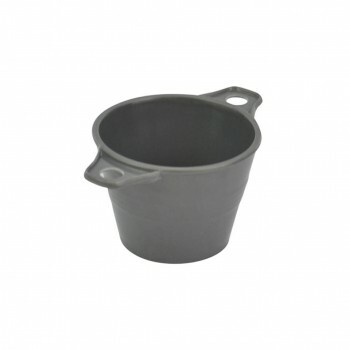 The melamine pots need minimum maintenance and are dust and scratch resistant. They are tough and last long.